Chocolate covered hazelnut shortbread cookies – my favorite Christmas holiday cookies! The flavor and the texture of these cookies are really nice: they taste like chocolates with hazelnuts and at the same time crunchy. 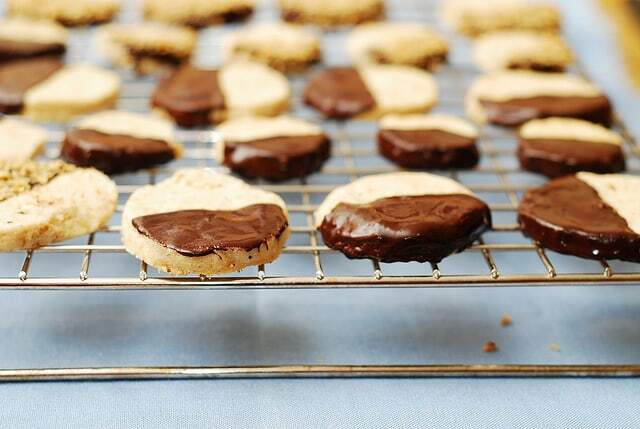 These chocolate covered hazelnut shortbread cookies is my fourth and the last cookie recipe in December. I always loved hazelnuts in chocolates but, surprisingly, I never used ground hazelnuts in a Christmas cookie until this recipe. I love chocolate-nut-shortbread combination. My two favorite nuts to use in Christmas cookies are, without question, hazelnut and almond (as in Almond Shortbread Cookies with Amaretto and in Almond Crescent Christmas Cookies recipes). For these holiday cookies, I used a recipe from Epicurious, and the only thing I changed was that I removed baking soda, because I like my shortbread’s texture without it. 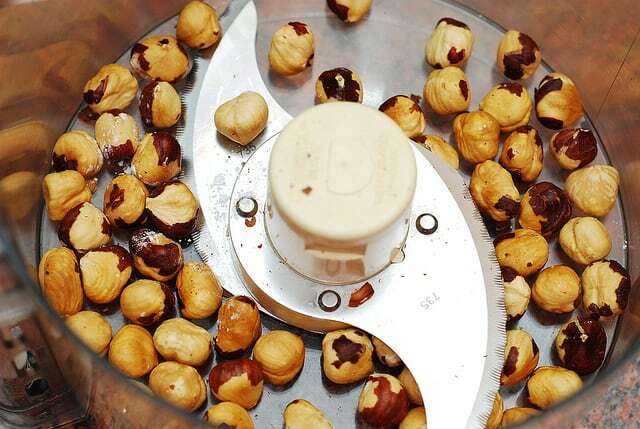 The recipe also calls for toasted and husked hazelnuts, which is pretty easy to do. I preheated oven to 350 F, placed raw hazelnuts (with skins still on) on the baking sheet and toasted them for 5-10 minutes. After I took the hazelnuts out of the oven and after they cooled off, I husked them by rubbing a handful of hazelnuts between my hands. This did a pretty good job of getting rid of most of the skins. 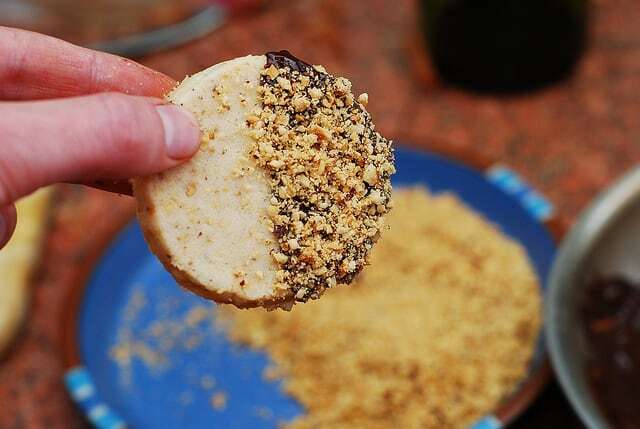 Here are step-by-step photos illustrating some of the steps about how to make these hazelnut shortbread cookies. These photos might help you with the recipe instructions. 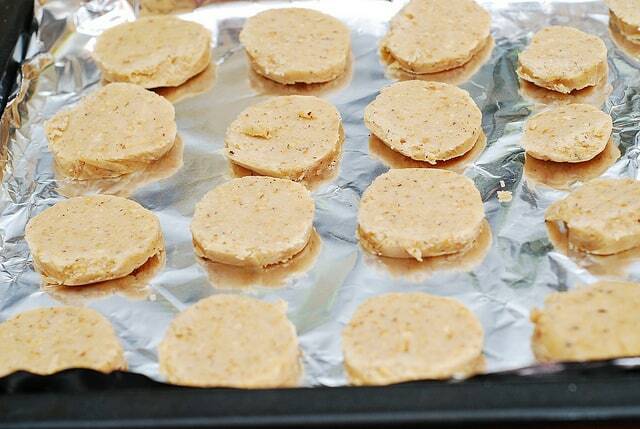 Place sliced cookies on a baking sheet, spacing them about 1 inch apart. Bake them in the oven following the baking instructions in the recipe box below. 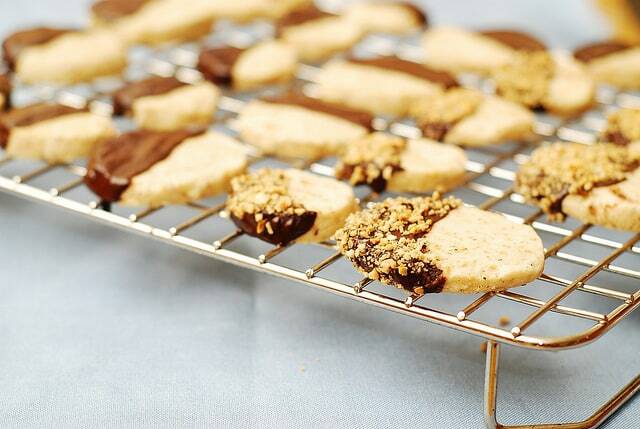 Perfect holiday shortbread cookie recipe: Chocolate Covered Hazelnut Shortbread Cookies. Make these for your Christmas cookie box! In a large mixing bowl, beat butter and sugar until creamy, then add 1/2 cup finely ground hazelnuts and vanilla and beat to combine. 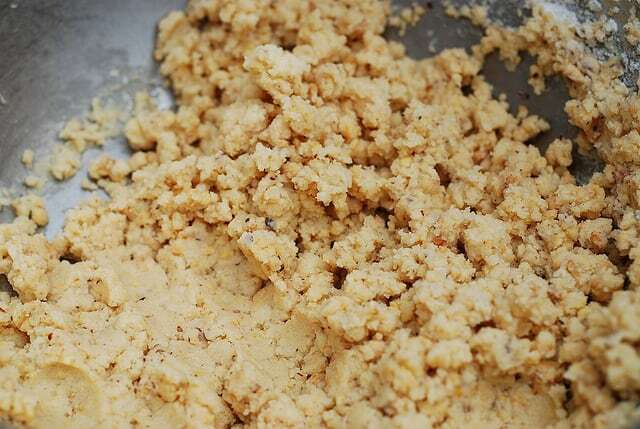 In a separate bowl, combine flour and salt, then add mixed flour and salt to the creamy butter-sugar mixture. 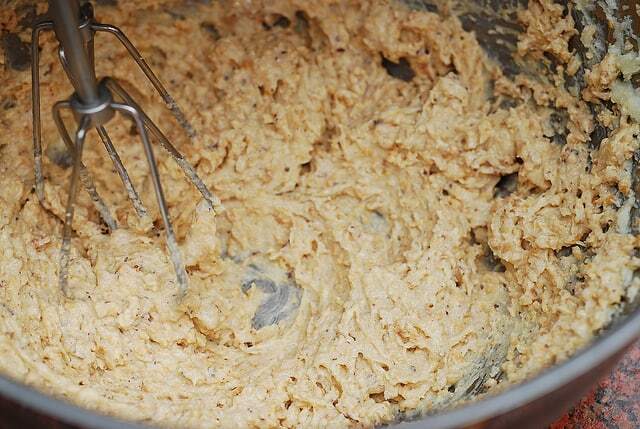 Do not overmix, mix just enough to combine all ingredients and form a cookie batter. 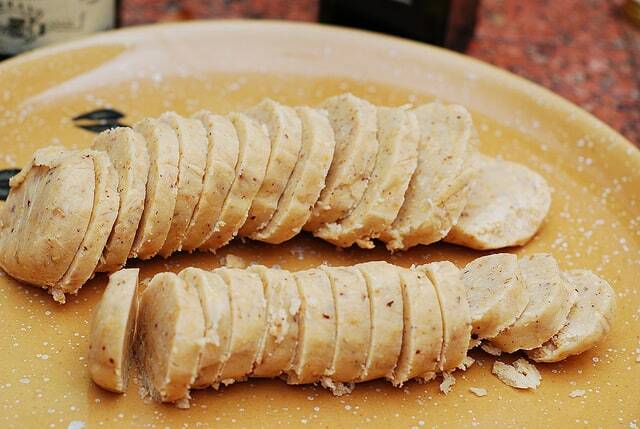 Shape dough into 4 logs of different thickness (to make cookies of different radius – large and small). 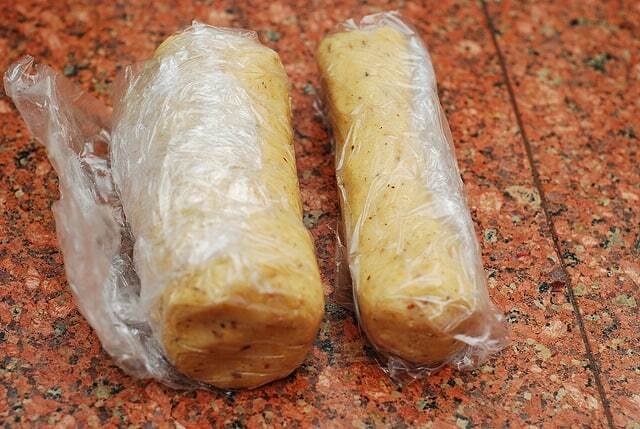 Wrap each log in plastic wrap and put wrapped cookie dough in the freezer for 30 minutes, then in the refrigerator for 30 minutes. Preheat oven to 325 F. After cookie dough has been in the freezer and refrigerator, unwrap plastic and slice each log into thin cookie slices. 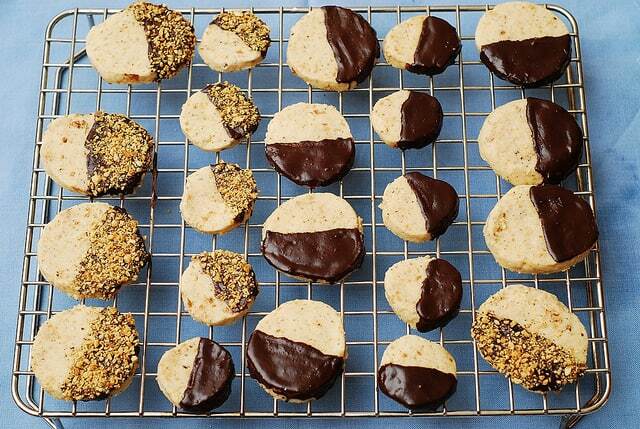 Place cookie slices on ungreased baking sheet, spacing 1 inch apart. Bake for about 20 minutes, don’t let the cookies to get brown. After 20 minutes of baking, transfer cookies to rack to cool. 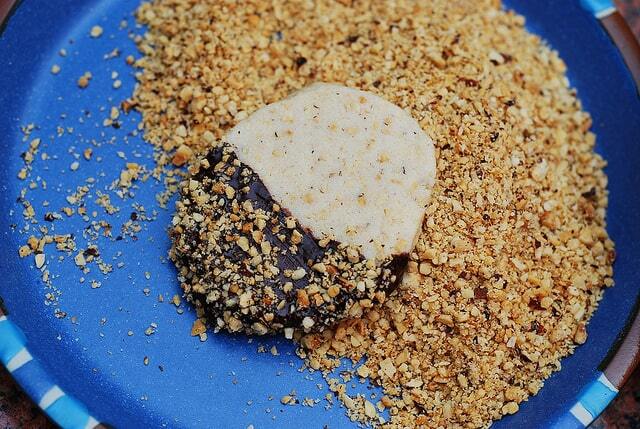 To decorate cookies, melt chocolate in a small skillet over medium heat, just until chocolate melts, about 5 minutes. Remove from heat. Using spatula, brush half of the cookie on one side only (no chocolate on the bottom of the cookie) and along the cookie side. Transfer to rack to dry. Do that with each cookie (if desired). 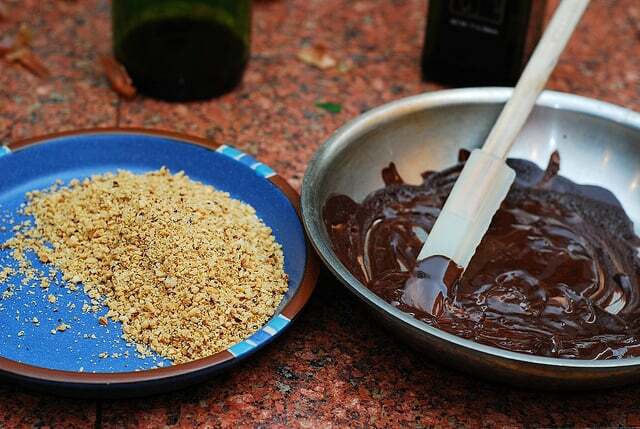 Then you can dip the chocolate side of the cookie into coarsely chopped hazelnuts. Return to rack. 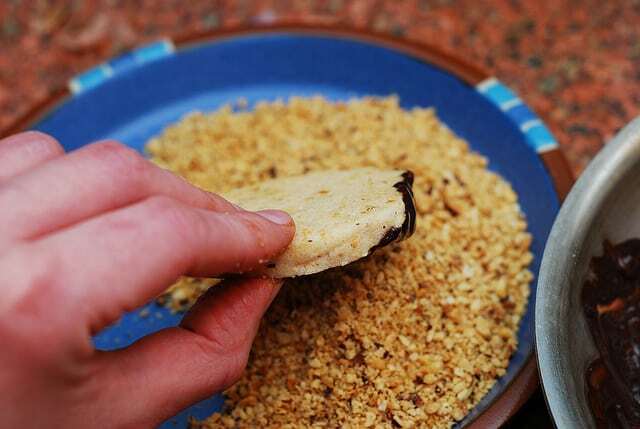 You can leave some cookies just covered with chocolate, without hazelnuts crumbs. 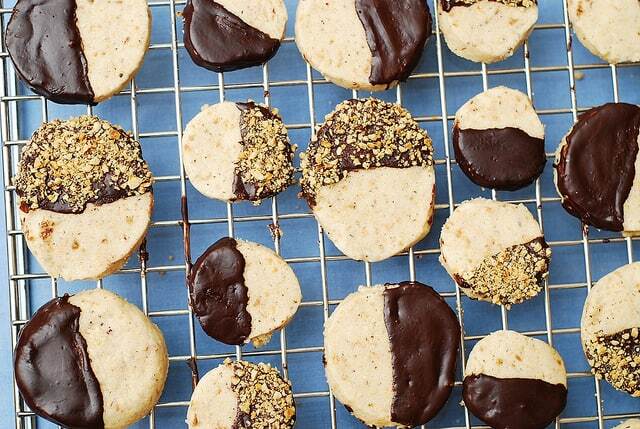 You can also leave some cookies just plain (no chocolate, no hazelnuts on top of chocolate). Repeat with remaining cookies. Let cookies dry on rack for at least 1 hour, for chocolate to harden. 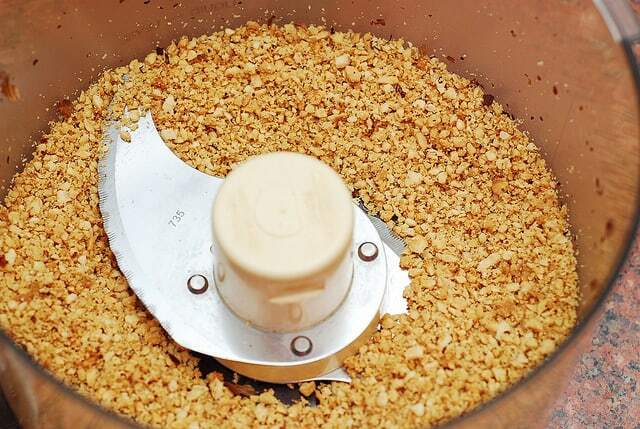 Note: The recipe also calls for toasted and husked hazelnuts, which is pretty easy to do. I preheated oven to 350, placed raw hazelnuts (with skins still on) on the baking sheet and toasted them for 5-10 minutes. After I took the hazelnuts out of the oven and after they cooled off, I husked them by rubbing a handful of hazelnuts between my hands. This did a pretty good job of getting rid of most of the skins. 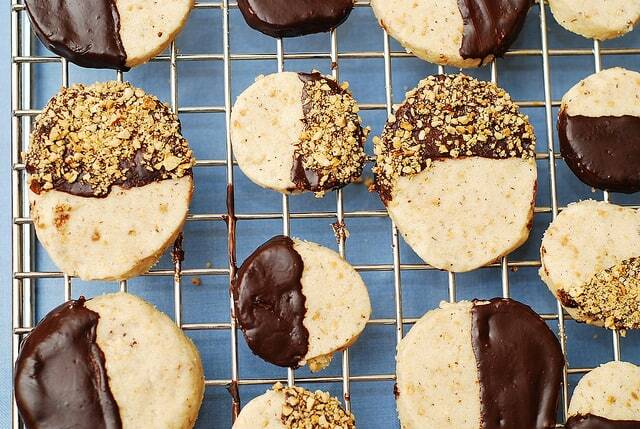 I love shortbread cookies, with chocolate and hazelnut would be perfect ! Providing homemade cookie trays to family and friends this year. These cookies will be included. Yum…. Ooooh hazelnuts, chocolate, and cookies!!! SUCH a yummy combination! These look fab! Pinning them! The cookies look delicious! thank you for sharing the recipe – Happy Holidays. Hazelnuts are such an underutilized nut. The have great flavor and I bet are wonderful in these cookies. Hazelnuts make cookies so flavorful. 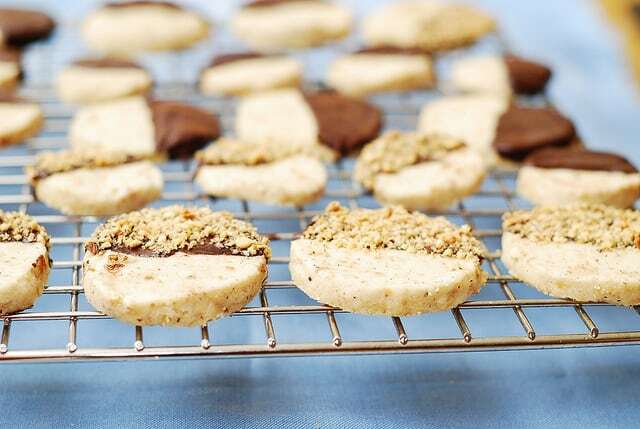 I love hazelnuts in chocolate bars so why not use them in cookies, too? Oh my! I have never baked with hazelnuts before…not sure why. these cookies look so divine!! 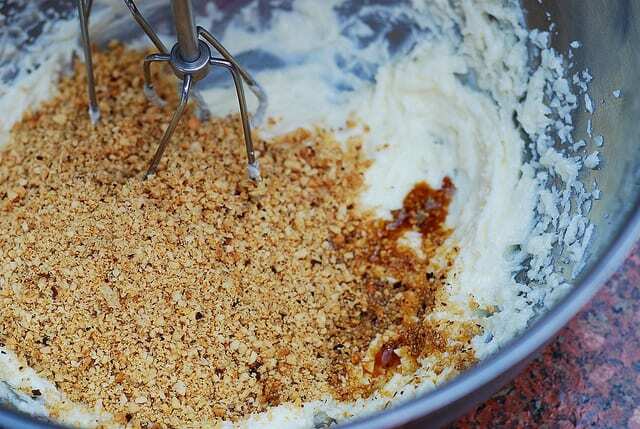 You are same with me, i also have never baked with hazelnuts before, this is my first experience.. Thanks Julia..